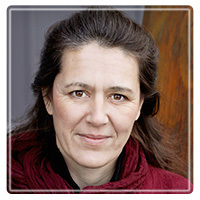 Courtenay Therapist: Gillian Saxby - Therapist V9N 1S4. Send A Message To Gillian. I love assisting people to enhance their lives and relationships, resolve conflicts and reach solutions that work. I believe that we all have the capacity for personal growth and change. I provide support, guidance and a safe structure for you to discover what solutions or ideas will work best for you. I work with clients experiencing challenges with relationships, communication, separation, divorce, aging, transitions, and grieving. Other types of issues addressed with clients include stress reduction, employment and workplace, enhanced well-being, health conditions, trauma, anxiety, depression and anger. I see clients in person at my office in Comox, on Vancouver Island, as well as online or by telephone. Counselling and mediation are effective ways to create change in your life for the better. The type of issues discussed are based on what you want to talk about, following your lead whenever possible. Counselling provides a confidential opportunity for you to discuss in a safe place any issues that are negatively impacting your life or getting in the way of you being happy. Often the goal is to help you gain insight into issues or patterns that keep coming into your life and to change aspects that are no longer working for you. It may also be helpful to improve communications, enhance relationships and to learn new ways of thinking that improve your own quality of life. Often in counselling you will learn how to be more in touch with your feelings, learn how to express them and to better understand issues that may impact relationships, work life, family life, and your sense of self. Mediation offers an opportunity is to resolve conflicts in a positive way. Mediation is a quick and efficient way of dealing with difficult issues. It provides a productive environment for people to come up with their own solutions. It can reduce stress, restore relationships, and enhance your life. Mediation can be used by anyone willing to engage in discussions to explore possible solutions. I provide person centered counselling and mediation services to individuals, couples and families. I use a brief solution focused approach as well as cognitive behavioural therapy and mindfulness practices. My approach focuses on empathetic listening, solutions, and moving issues and relationships forward. I have a proven track record in assisting people to collaborate and to effect positive change in their lives and relationships. I value your privacy and all aspects of the sessions are confidential. I am a Registered Clinical Counsellor (RCC #13621) with the BC Association of Clinical Counsellors and has a Master of Counselling Psychology (MACP) degree. I am a certified yoga instructor and is able to provide guidance on well-being through breath and mindfulness practices. I am also a member of the B.C. Mediation (Civil) Roster. Book a free 15 minute consultation today! Contact Gillian at mediate@telus.net or call 250.335.1616.